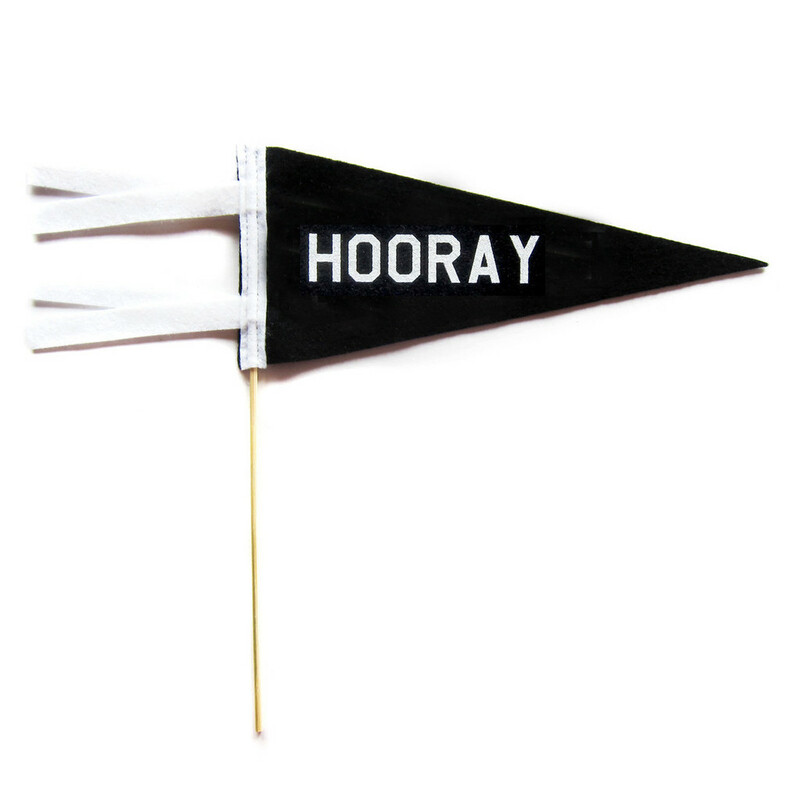 Hooray….it’s almost time for the kids to go back to school!! Don’t get me wrong…I L-O-V-E Summer. The lazy days. The warmth. Time outside. But, at some point, it’s time to get back to business and that means getting my boys back to school and all of us into a routine. In addition to getting my boys’ their school supplies, I’ve decided it’s time to refresh my own desk and get a little more organized. Back to School is more of an attitude than an actual event to me. First off, loving these brand new stationery sets by Jennifer Vallez for Sugar Paper. They are just begging to be written on and sent in the mail. 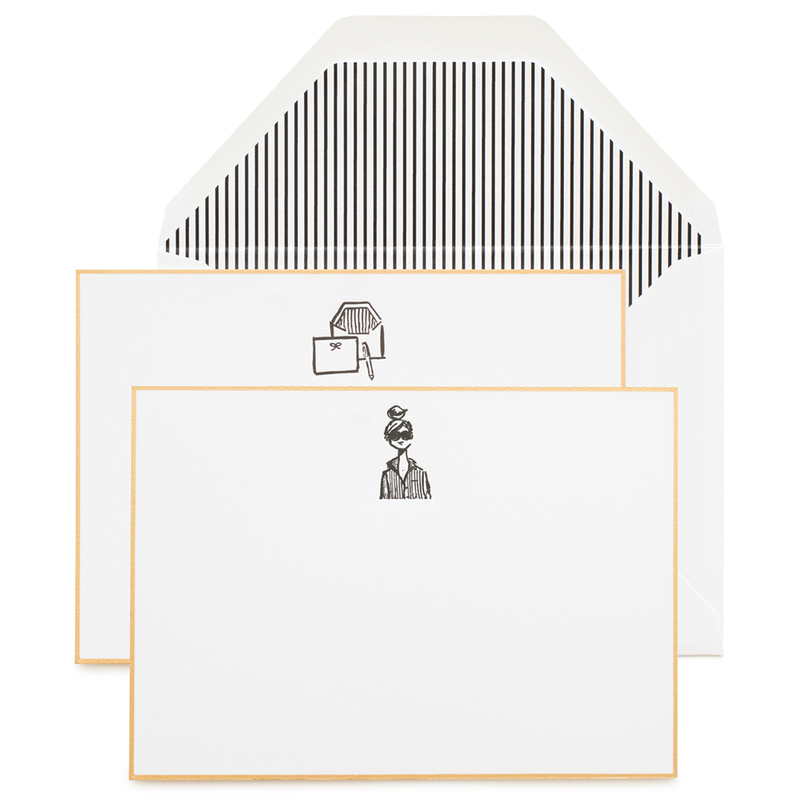 Additionally, the sweet folks at Sugar Paper just created their own line of brass desk accessories. 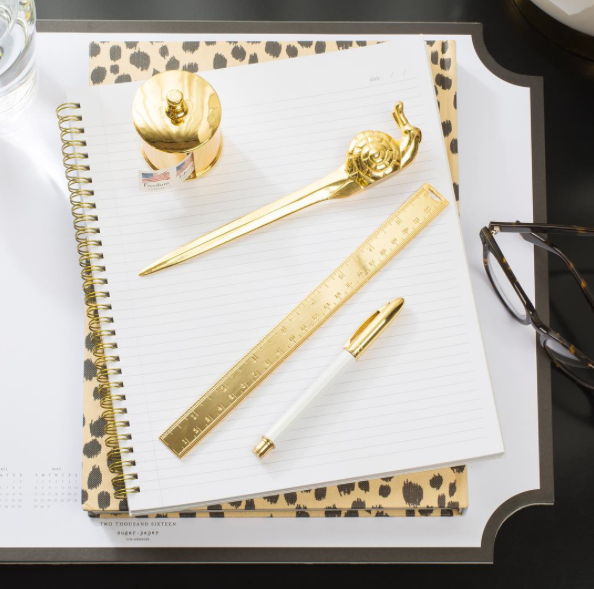 Like bling for your workspace. One of my favorite bloggers turned entrepreneur is Meg Biram. 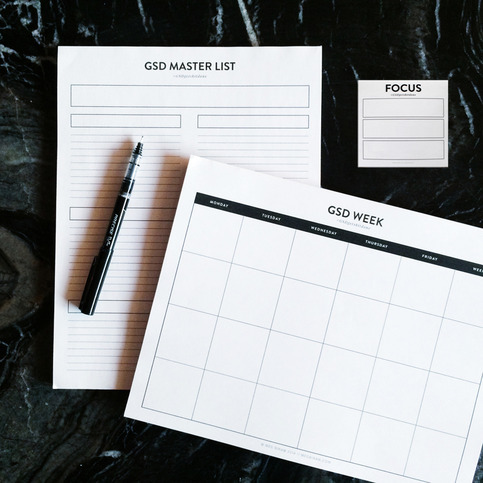 She has dedicated herself to the field of organization and productivity and has developed her own line of GSD (Get Stuff* Done) tools. *That’s how this nice Southern gal says it. 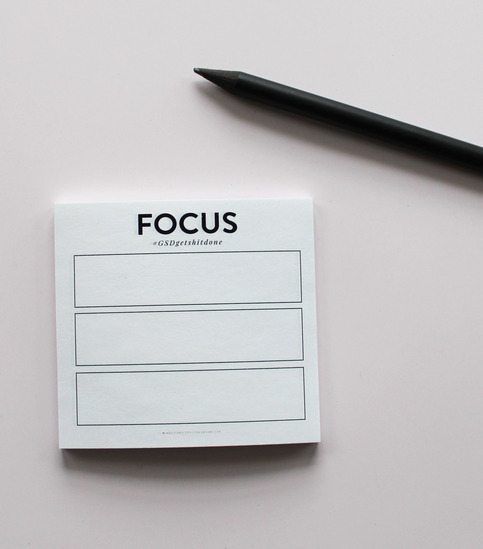 This simple little post it pad forces you to pick your Top 3 most important things to do today. Love that. Narrow it down and GET IT DONE! For those of you lucky enough to have a few more weeks of Summer….just circle back to this when you’re ready to focus, but for those of you who have kids starting school today…enjoy! You might get a few more things done today! I seriously need the GSD notes……… great idea. Love the Get Stuff Done! No one here is going back to school but I feel as if I should. I have been on summer vacation for weeks and am having a terrible time getting back into my routine! Have a great week Elizabeth!